PATNA: Bihar will urge the Centre to make the state a partner in the hydel power projects of Bhutan and give permission to take equity stake in them so that the power-starved state can get assured power from the neighbouring country. This was stated by chief minister Nitish Kumar on Saturday after his return from the four-day official visit of Bhutan. “We will raise this matter with the government of India and central agencies engaged in power generation. We demand that Bihar should get 1500MW power from Bhutan’s projects,” he told the media at the airport after alighting from the state aircraft which brought the delegation from Hasimara in Jalpaiguri situated on Indo-Bhutan border. Nitish said he visited Bhutan to see the work on 1200MW hydel power plant at Puna Psangchhu and was impressed with the pace of work in the mountains. He expressed hope that it would be completed on time. He also visited the power plants at Chukha and Tala, from where Bihar gets 300MW. “All these are run-of-the-river hydel projects and the upcoming plants will have the capacity to generate 30,000MW,” the CM said. He further said if Nepal also developed hydel power projects, the Himalayan kingdom can generate as much as 1 lakh MW of power. Nitish said the King of Bhutan, Jigme Khesar Namgyel Wangchuck, has accepted his invitation to visit Bihar with the queen after his wedding. The CM extended the invitation to him when he met the monarch in Thimphu on Thursday. He was all praise for the people of Bhutan and said every Bhutanese has a desire to visit Bodh Gaya at least once. The King told Nitish that this year, after the bumper crop, when he asked farmers what were they planning, they expressed their desire to visit Bodh Gaya. “Some farmers said they had already visited Bodh Gaya but wanted to visit it again for another good crop,” Nitish quoted the king as telling him. The CM said Bhutan is the most trusted friend of India and the mutual relations are based on cooperation and understanding. Terming his visit as very useful, Nitish said he met several dignitaries and people and all of them have great regard for Bihar. The king, he said, explained to him the concept of Gross National Happiness (GNH), which takes care of education, culture and environment. “If a country like Bhutan can make happiness the basis for its overall growth, why cannot Bihar with the concept of development with justice,” he said. The CM was highly impressed with the preservation of culture and protection of environment in Bhutan, which has 72% forest cover and has preserved trees even on the mountains. “Environment must be preserved here too for a sense of happiness,” he said. 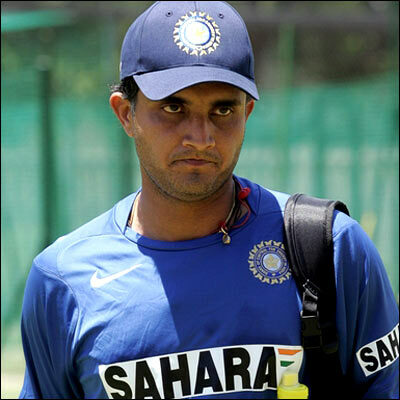 Mohali, May 8 (PTI) Sourav Ganguly’s much awaited IPL-IV debut got delayed as in a surprising move, Pune Warriors did not include the former India skipper in the playing XI against Kings XI Punjab, here today. Ganguly, who went unsold in the auction but recently bought by Pune, was expected to play today’s match as the new entrants’ campaign is in tatters, having lost seven games on the trot. Just ahead of the match, Ganguly had a long conversation with Pune’s team director Abhijit Sarkar. The conversation between the two continued for quite a while as the two were standing close to the boundary rope. Ganguly, 38, was given a cold shoulder by Shah Rukh Khan co-owned Kolkata Knight Riders, whom he led in the previous editions, and the nine franchisees also ignored him during the auction. New Delhi, (PTI) The Supreme Court will today hear arguments in the Ramjanmbhoomi-Babri Masjid title suit in which a bunch of petitions have been filed by various Muslim and Hindu groups challenging the Allahabad High Court verdict. Expressing dissatisfaction over the High Court”s verdict of dividing the 2.77 acre disputed site into three parts among Muslims, Hindus and Nirmohi Akhara, different religious groups have approached the apex court. A bench of justices Aftab Alam and R M Lodha will hear the appeals filed by Nirmohi Akhara, Akhil Bharat Hindu Mahasabha, Jamait Ulama-I-Hind and Sunni Central Wakf Board. A petition has also been filed on behalf of Bhagwan Ram Virajman (seated Baby Ram). The Wakf Board and Jamait Ulama-I-Hind have submitted that the High Court”s verdict should be quashed as it was based on faith and not on evidence. It contended that the court has committed an error by holding that the building stood at the place of birth of Ram. They submitted that claims of Muslims, Hindus and Nirmohi Akhara over the controversial site are mutually exclusive and cannot be shared. “It was nobody”s case in the High Court that the Muslims, Hindus and Nirmohi Akhara were in joint possession of the disputed premises. The claims of the three sets of plaintiffs were mutually exclusive in the sense each set of plaintiffs claimed the entire property as its own and no one sought a decree for partition of the property,” the appeals said. The Hindu Mahasabha, on the other hand, has sought only partial annulment of the majority verdict of the high court, which ruled for handing over one third of the disputed site to Muslims. It sought the apex court”s endorsement of the September 30 minority verdict by Justice Dharam Veer Sharma who ruled for handing over of the entire land to Hindus. “Set aside the judgement dated September 30, 2010 by Justice S U Khan and Justice Sudhir Agarwal to the extent that one third of the property in dispute has been declared in favour of Muslims and to allot share to them in the decree,” said the Hindu Mahasabha in its petition. It appealed to the apex court “to maintain the judgement passed by Justice Dharam Veer Sharma” as the effective verdict. A three-judge bench of the high court”s Lucknow bench had passed three separate judgements on September 30 with the majority verdict holding that the area covered by the central dome of the three-domed structure, where the idol of Lord Rama is situated, belongs to Hindus. While justice Khan and Agarwal were of the view that the entire disputed land should be divided into three parts – one part each to Sunni Waqf Board, Nirmohi Akhara and the parties representing ”Ram Lalla Virajman”, Justice Sharma had held that the entire disputed area belongs to Hindus. New Delhi, May 8 (PTI) Field Marshal Sam Manekshaw, the Army Chief during 1971 war, may have won all round accolades, but his operational and strategic thinking has come in for questioning from one of his junior commanders Lieutenant General J F R Jacob. In his autobiography, “An Odyssey in War and Peace”, Lt Gen Jacob, then Chief of Staff of Eastern Army Command, has sought to fault Manekshaw along with some other Commanders for their role during the war in which India was instrumental in creation of Bangladesh. “Manekshaw based in Delhi, had little feel of the situation on the ground,” Jacob has claimed in the book. He claims that Manekshaw had decided not to include capture of Dacca as one of the principal objectives of Indian operations. “I was flabbergasted…I was at complete loss to understand the concept underlying Manekshaw”s operational thinking,” Jacob says. “I maintained that it was imperative that we capture Dacca to control the whole of East Pakistan. Gen Manekshaw smiled at me, using his favorite term of endearment, ”Jake sweetie, don”t you see that if we take Khulna and Chittagong, Dacca will automatically fall. There is therefore no need to take Dacca,” writes Jacob. He further mentions how Manekshaw ordered broadcast of a message intercepted from Pakistan Navy, helping them change their wireless codes and leading to a failure of Indian code breaking operations. “The intercept indicated a rendezvous for river craft at Gupta Crossing on Meghna river. Manekshaw interpreted this to indicate that elements of Pakistan army were attempting to flee to Burma. He ordered Maj Gen Inder Gill (Director, Military Operations) to broadcast that he knew what they (Pakistani) were up to at Gupta Crossing,” Jacob writes. “The broadcast was made and the Pakistan Navy immediately changed their code. Subsequently we were unable to read any further naval wireless traffic,” he adds. Jacob further says, Manekshaw was “convinced” that China would attack India while no movement of Chinese troops was seen on the Tibetan Plateau and the intercepts of Chinese radio traffic also did not indicate any such plan by them. “Manekshaw was convinced that the Chinese would attack, a view he held right up to December 8, 1971,” writes Jacob. On Manekshaw”s relations with other service chiefs Jacob writes, “Unfortunately, the equation between the Army and Air Force Chiefs at Service Headquarters was less than cordial. The Army and Air Force Chiefs were not on speaking terms.” . PATNA: Impressed by Bihar’s changing image and development in the last few years, Bhutan is keen to sign a joint pact with the state to promote tourism in its Buddhist circles, officials said Friday. An official of the Bihar delegation, which accompanied Chief Minister Nitish Kumar on a three-day visit to Bhutan, said officials of both sides discussed launching of joint avenues to promote tourism. “Bhutan and Bihar are set to sign a joint pact to promote tourism in famous Buddhist circles in the state,” an official told IANS from Bhutan capital Thimphu. Nitish Kumar left for Bhutan Wednesday. He has been invited by Bhutan’s King Jigme Khesar Namgyel Wangchuck and Prime Minister Jigme Thinley. According to officials, Nitish Kumar and Bhutan’s Economic Affairs Minister Lyonpo Khandu Wangchuk have decided that Bihar Tourism Development Corporation and the Royal Bhutan Tourism Council will join hands to find ways and means to promote facilities for tourists. Officials said Bhutan and Bihar would explore avenues to make the stay of Bhutanese pilgrims comfortable and offer land to set up tourist lodges and a Buddhist shrine at Rajgir in Nalanda district. Bihar’s Bodh Gaya town is a famous pilgrimage destination for Buddhists. It is said that Gautam Buddha attained enlightenment in the town. Apparently Nitish Kumar has sought Bhutan’s help in sharing hydel power and has also held discussions with Bhutan’s energy experts about measures to make the state self-reliant in energy. At present, Bihar is facing an acute power shortage that has led to widespread protests in many parts of the state. 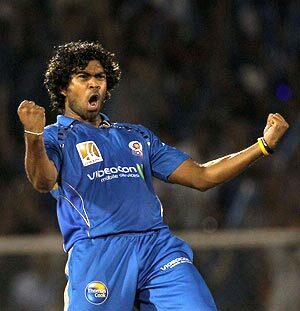 Mumbai, May 8 (PTI) Mumbai Indians pacer Lasith Malinga has been fined for breaching the Indian Premier League (IPL) Code of Conduct during his side’s match against the Delhi Daredevils here. Malinga pleaded guilty to a Level 1 offence (Article 2.1.8), for a breach of Match Playing Conditions clause 42.4.2 when he bowled two high full pitched balls during the Delhi Daredevils innings. As a result, match referee Roshan Mahanama imposed a penalty of 5 per cent of the player’s match fee. Dehra Dun, May 8 (PTI) Portals of famous Himalayan shrine of Kedarnath today reopened for pilgrims after a gap of six months with Uttarakhand Chief Minister Ramesh Pokhriyal Nishank among those having early darshan of Lord Shiva. 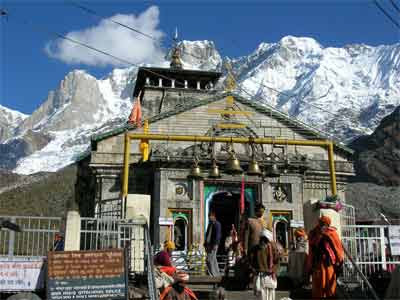 Amid blowing of conches and chanting of vedic hymns and shlokas, Chief priest of Kedarnath shrine Bhimshankar Ling opened the locks of the temple at 0530 hrs in the morning in the presence of senior administrative and police officials, official sources said. During the opening ceremony, hundreds of devotees were present outside the sanctum sanctorum chanting “Bam Bam Bhole” braving chilly winds blowing in the area. While Nishank performed puja along with his family members, Uttarakhand Disaster Management Minister Khajan das and Principal Secretary Tourism Rakesh Sharma were also among the first ones, who paid the obeisance at the temple. Meanwhile, the portals of Badrinath shrine would also be thrown open for Pilgrims tomorrow. MUMBAI: Sachin Tendulkar has been in the forefront to bring an end to the most bitter feud in world cricket, and make Andrew Symonds andHarbhajan Singh bury their hatchet, as Mumbai Indians surge to the top of the Indian Premier League. Three years of seething animosity triggered by the “Monkeygate” scandal of the 2008 SCG Test has officially ended. Symonds was stinging in his criticism of Harbhajan as recently as October 2010, but the pair has overcome an awkward start at Mumbai to form a friendship many thought impossible. India’s legend Tendulkar has been front and centre in healing their wounds, as Symonds likes his role of playing next to World Cup heroes Tendulkar and Harbhajan. Spending most of his time living away from the spotlight in far north Queensland has mellowed a complex 35-year-old soul in the twilight of his tumultuous career, as reported. “I’m not really doing any interviews, sorry – but it’s all good here,” Symonds said this week when asked about his relationship with Harbhajan. Symonds and Harbhajan became sworn enemies when the fourth Test of the 2007-2008 series exploded courtesy of a racial vilification charge against Harbhajan after he called Symonds a monkey. Patna: During the 6th century BC, the then king of the Magadh empire shifted his capital from Rajgir to Patliputra Patna. Today, several people believe that chief minister Nitish Kumar is reverting that decision. All roads are leading back to Nalanda, the home district of the chief minister. "Everything, right from medical college, universities, technical colleges, power projects, factories and even the airport, is moving towards Nalanda," said a senior politician. Leader of the Opposition in the Bihar Assembly Abdul Bari Siddiqui had his tongue firmly in his cheek. "I will not mind if the state capital is shifted back to Rajgir," he quipped. Within an aerial radius of 50km of Rajgir, several mega projects are coming up. Some may be delayed but most of them are sure to finally make it through. 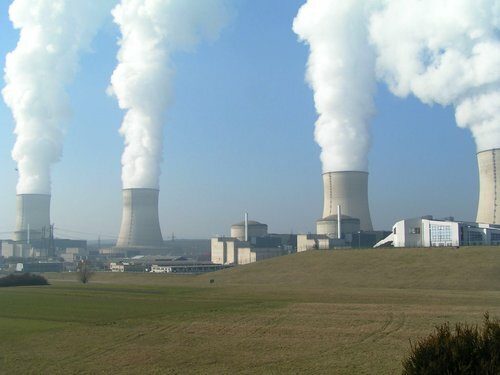 The Barh super thermal power plant, estimated to cost over Rs 20,000 crore, is expected to start production in 2013. The Harnaut coach maintenance factory, a project initiated by Nitish, is the only railway venture in the state that would be operational by December this year. The Nalanda International University has over 450 acres of acquired land and an equal amount to be further acquired. Several countries have already pledged funds for the project. The Rajgir ordnance factory is currently in limbo. Started with gusto during George Fernandes's tenure as defence minister, so much has been invested in the project that it is proving difficult for the defence ministry to back out. The project, perceived in the late-1990s, was estimated to cost Rs 7,500 crore. However, the final cost incurred due to delays will be much higher, more than Rs 20,000 crore. Apart from these mega projects, there are a number of other things coming up — the second largest training camp for paramilitary forces in India, the state's only adventure sports venue, a medical college, engineering colleges and an IT institute. "If all the projects come up in another decade, around Rs 75,000 crore would have been pumped into the entire area. It would trigger a large number of private investments. There will be a huge concentration of professionals earning five-digit and even six-digit salaries living in this area. Rajgir will have as much money per square inch as that in Bangalore. The profile of the entire zone is going to change — from a potato-growing area to a centre of factories, knowledge hubs and industrialisation. It already has great potential for tourism," said an economist, stressing that it is a great place to invest. JD (U) MLA from Nalanda Assembly segment and chief whip of the party, Shrawan Kumar, rattles off the number of projects coming up in the area. "A person coming to Nalanda after a gap of five years will not recognise the place. Villages have been connected with three roads, dilapidated buildings have been renovated and transformed into imposing buildings and when all the projects come up, a little less than one lakh people will be employed," he said. Kumar, however, insisted that the projects would not only help the people of Nalanda. "All these projects will help the entire state," he insisted, refusing to comment on the question if the state capital should be shifted back to Rajgir. Recently, the government offered land for the new airport in Bihar in Silaw, which is again in Nalanda. Kumar stressed it was only because land was not available in Patna. But even if Rajgir is not made into a state capital, it will earn the same envy, which Delhi has for Gurgaon. Nitish Kumar has been trying to shift the capital of Bihar from Patna to Nalanda whole-heartedly and seriously. After all, he is just like the typical Indian political leader. For the jobs on agenda of the political leaders, India is tremendously and beyond-the-limit reach. How will India come on the forefront map of the world after all? Nitish Kumar deserves all credit and appreciation for this ayyempt.